Police in San Pedro Town have no leads in the murder of a man that occurred in the wee hours of Saturday May 31st. The victim has been identified as 49 year old Alfred “Cat” Kelvin, of no fixed address in San Pedro Town. The incident occurred at the corner of Seaweed and Sandpiper Streets in the San Juan Area sometime around 2AM. Officer commanding the San Pedro Police Formation, Assistant Superintendent of Police Luis Castellanos said that prior to the incident, officers on patrol in the area saw the victim walking towards Caniste Street in the San Juan Area. “About 2:05AM we received information of a single gunshot being fired in the area of San Juan. 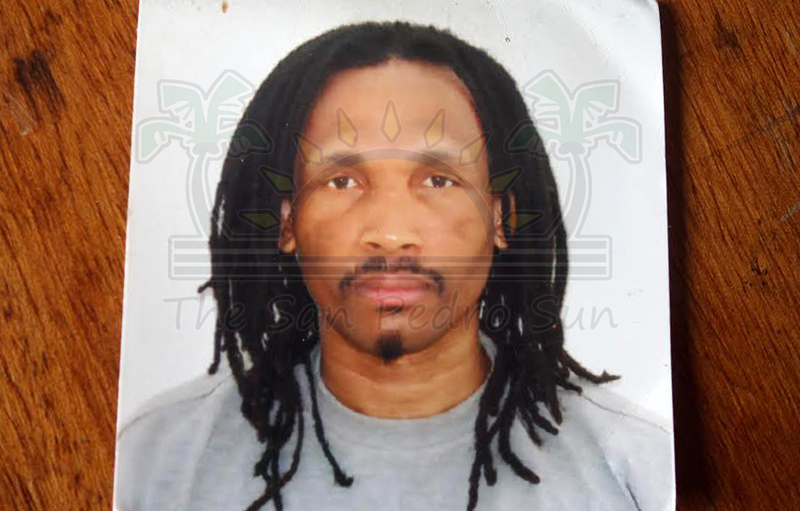 Police visited Seaweed Street in the San Juan Area where they saw the apparent lifeless body of a Creole male and established his identity to be Alfred Kelvin. The 49-year-old Belizean unemployed was suffering from a single gunshot wound to the right eye that exited the right back portion of the head,” detailed Castellanos. He said that they believe the victim was executed at close range. Kelvin was no stranger to police as he was constantly in custody for drug use and theft, but Castellanos said that they are unable to establish what may have caused his unfortunate death. “During our investigation, we interviewed some people from the area but we have no leads at this time. All that we have been able to establish is that people heard the gunshot, and when they peeped out, they noticed the man lying on the ground.” Castellanos said that even though they do not have a motive, they do not suspect that Kelvin’s death was drug related. The victim was gunned down less than 100 feet from where Dennis “Chingy” Palacio was shot and killed on April 26th, something that is extremely worrying to San Pedro Police. “The murder is of concern to us because this is a tourism town and we depend on tourism for our survival. If tourists start to get alarmed about the crime situation, they would change their choice of destination so it is definitely of high concern to the department. For that reason we have increased patrols in the area, in fact our police officers saw the victim just five minutes prior to his murder, but the fact is that the criminal elements are ahead of us,” said Castellanos. Castellanos said that he is currently in dialogue with the commander of the Belize Defense Force and the Belize Coast Guard to find ways that they can set up long term operations on the island that will target criminal activities. Meanwhile Kelvin’s body was taken to the Karl Huesner Memorial Hospital morgue where a post mortem examination was performed on his body on Monday June 2nd. Anyone with information that can help authorities solve this latest murder can anonymously call Crime Stoppers Belize at 0-800-922-TIPS (8477) or the San Pedro Police Station at 206-2022.